Mould can be found in almost any building, but it becomes a problem when there is a high amount of moisture in the air or on a surface. A mould infestation may be annoying, but it can become dangerous. Exposure to mould pathogens need not be a problem as the immune system destroys them. It is a problem, however, when the immune system has been “overworked” by such a common situations as fighting a cold. A person who is continually exposed to certain chemicals or pathogens, can also develop a “hypersensitivity”. This usually explains why someone who has not suffered from exposure suddenly becomes sensitive. Moulds are fungi, a group of very common organisms that also include mushrooms and yeasts. Moulds are generally found in nature and are carried indoors from the outside. More than 270 species of mould have been identified in Canadian homes. Moulds can grow indoors in wet or damp areas, including wallpaper, ceiling tiles, carpets (especially those with jute backing), insulation material, wood and drywall. What Are The Health Effects Of Mould? Most common types of moulds are generally not harmful to healthy individuals. However, exposure to mould can cause reactions depending on overall health, age and the amount of time an exposed person spends in the home. Why Do I Need a Mould Inspection? There’s often a strong and distinctive smell that’s associated with mould and it usually means that there is an infestation somewhere in your home. 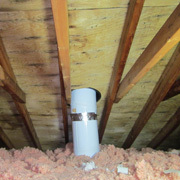 It’s not always easy to locate the mould and the reason for the mould growth, Sick Building Solutions is your answer! Our trained staff can pinpoint both mould infestations and the moisture problem that is allowing the growth to occur. Call for a Mould Inspection to Protect Your Family! What Is A Mould Inspection? A Sick Building Solutions Mould Inspection includes a complete visual analysis from basement floor to attic roof deck for visible colonies of mould, non intrusive moisture detection within walls and ceilings and ambient air samples to determine levels of carbon monoxide, carbon dioxide, relative humidity, temperature and other “comfort” parameters. If necessary in depth testing of airborne spores and contact plate examinations to determine Genus and species will be conducted. What Happens After The Inspection? 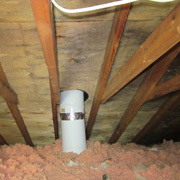 Once the inspection is complete, we provide a detailed report including recommendations to solve the problems. 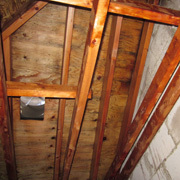 We will tell you what kinds of mould are present, where the moisture sources are located and what to do about them. Call us today for an inspection if you think you have mould. Call us and we will advise you ! If the problem is not too extensive, you may be able to clean it yourself. You can contact the Department of Health of the City of Toronto (www.toronto.ca/health) for advice on the cleanup of simple mould issues. 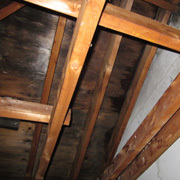 Sick Building Solutions personnel are experts in mould identification and pathology as well as remediation. SBS has developed a chemical solution that is very effective at killing mould. We will also provide a guarantee that the mould problem will not return for at least one full year (provided that all SBS recommendations are followed). Sick Building Solutions can offer a much longer guarantee of 10 years up to 20 years. Ask us about our non toxic “Mould Proof Coatings” for more details let Sick Building Solutions remediate your mould problems. Call Sick Building Solutions to protect your home and family! Air quality specialist will contact you within 24 hours! Send us a photo of your Mould! Sick Building Solutions is located in Toronto, Ontario and has been serving the Greater Toronto Area since 1995. We specialize in mould inspection, mould control, grow-house inspection, grow-house remediation, and indoor air quality. Left unchecked, mould can spread quickly. If you see black mould and/or want to schedule an air quality test, complete the form below and a representative will contact you as soon as possible.